Interested in Text To Give? As Pure Charity's newest feature we are excited to give an opportunity for our partners to use this feature to expand their giving in a simple way. 1) We are in the beta phase with the Text To Give feature. We are working directly with our field partners to make this feature work. 2) There is no extra cost for the feature. Pure Charity covers that expense for you! 3) Unlimited Keywords with unlimited texts! You can create as many keywords as your organization needs that returns different messages to the sender. Options are endless! 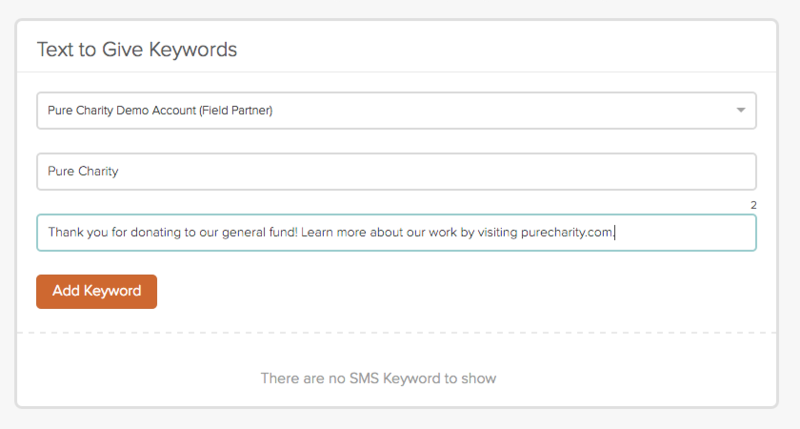 4) If you submit a Text To Give keyword, someone from the Pure Charity Team will manually configure it on back end and will contact your team know when it is ready. We will have an API integration that automates this process in soon! Because we are in the Beta phase, we have it set up manually with our team member so we can gain feedback. 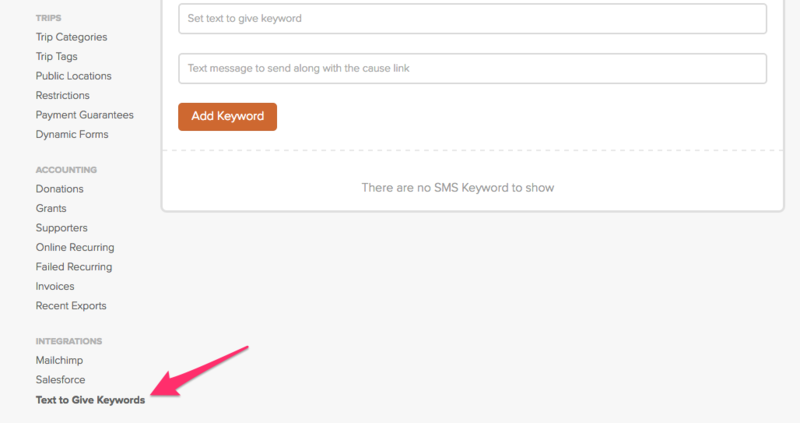 To request a Text To Give Keyword, follow the instructions below. Step One: Starting from your nonprofit dashboard, scroll down to the Integrations list and click Text to Give Keyword. 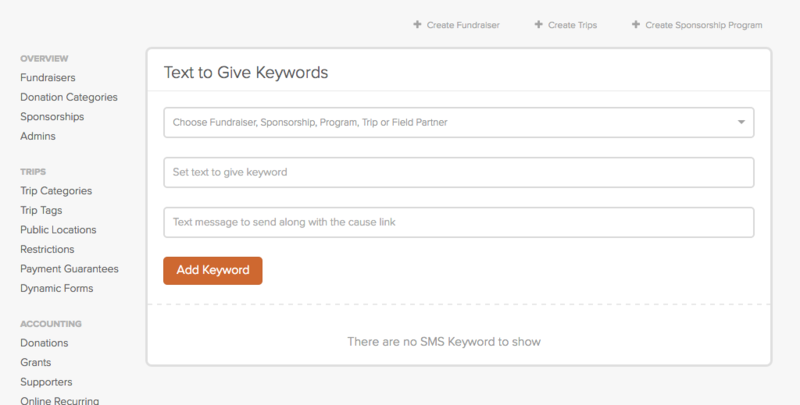 Step Two: Fill out the Text to Give Keyword form with the program you would like to fund, Text Word to send & auto-reply message to go along with it. Step Three: After your keyword is submitted, please wait for a Pure Charity team member to reach back out to you within 2 business days.